We share the burden of the responsibility you feel as a parent, group leader or chaperone to transport your loved ones, students, or those under your supervision, safely to and from their destination. Our coaches are maintained properly and continuously through a comprehensive preventative maintenance program. They are inspected and serviced by qualified professionals on regular intervals. All of our units carry necessary safety equipment (fire extinguisher, first aid kit, safety triangles, flares, etc.). In addition, all units are equipped with In Vehicle Monitoring Systems which include 3 cameras, GPS, speed/motion sensors and more. These comprehensive systems help us monitor vehicles and drivers to ensure maximum performance and service. Our professional drivers must pass an extensive screening process, including complete medical examination, pre-employment/random drug/alcohol testing, previous employment verification, driving history, etc prior to employment. To ensure our drivers stay compliant with strict DOT policies, we hold regular safety meetings, require annual safety training and refreshment courses as well as providing an incentive based Driver Performance Policy. All drivers and their performance are reviewed quarterly and once again annually. Our performance policy reviews are based on driver surveillance reviews, customer feedback, policy compliance, attitude, reliability, and safety. Distance Brothers carries all the necessary permits and licenses with the Federal Government, the Department of Transportation, the State of Texas and the City of Corpus Christi. 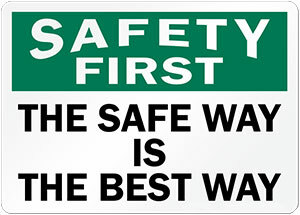 Our goal is to provide our customers with excellent service while maintaining safety as our top priority! Our transportation services provide the very best in motor coach excellence. Our goal is your 100% satisfaction every trip. We are committed to providing you friendly service, professional drivers and reliable modern coaches. "Contact Distance Brothers today and let us help you begin planning your next event or trip!"